Hair clays are a great way to gain naturally textured and styled hair without getting the sleek and shiny look from the setting gels. They do not only make styling easier but also provide volume and thickness. Hair clays have been gaining constant popularity for quite some time and it has caused the market to be filled with a plethora of brands. While some brands provide all-natural products taking care of your hair’s health, most of them are filled with chemicals and do not provide much hold, despite their claim. We don’t want your carefully styled hair to give out and destroy the effortless effect you wanted; that is why it is crucial to select the right hair clay formula. 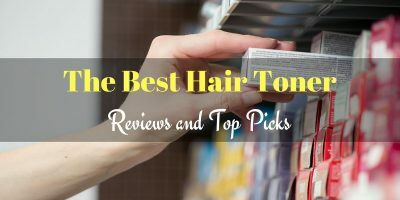 Choosing the best hair clay is a very complicated and intense process, which is why we have listed down the best hair clay products in the market today! Mr. Natty’s Clay Hair Preparation is a long-lasting, natural matte formula for high-quality performance. This shine-free formula is hydrating, easy to apply, and gives medium hold at a reasonable price. Recommended for thin, fine hair, it works great on coarse and thick hair as well. Your hair will feel thick and soft and stay styled all day long. It is one of the best hair clay for fine hair even though it does contain parabens and chemicals. Aveda Mens Pure-Formance Grooming Clay is perfect for thin hair and provides a gloss-free, medium hold. The formula leaves your hair vibrant and thick without making it flaky or crusty. The matte finish gives you a natural look and the hold stays for a long time. You can use it on dry or damp hair, according to your convenience. This reasonably priced hair clay is another gem in the market. Layrite Cement Matt Clay is designed especially for extreme styles and long-lasting hold. This is quite firm and thick and is best suited for guys with long hair and aspirants with complex styles. This water-based solution is easily removable. It is one of the budget buys and is extremely affordable for anyone. Smooth Viking Styling Clay is another amazing addition to the list of the best hair clay available in the market. This textured and pliable molding cream is great for modern hairstyles. It gives a reasonable long-lasting hold and an attractive matte finish. This shine-free formula claims to be suitable for an active lifestyle and for those individuals who perspire a lot. We were bowled over with the plethora of positive reviews this product got and now we can see why. Lame﻿﻿l ﻿﻿Fine Grooming Clay is a unisex, light-weight, high-quality clay formula that supports and holds your hairstyle for hours at a stretch. The lack of flaking and clumping makes this product a favorite among men and women. The matte finish gives you an effortless and natural look. The packaging is travel-friendly and we love the soft, subtle smell of this styling and grooming hair clay. Mr. Natty’s hair clay provides exceptional hold for a really long-lasting time. Even though it provides medium hold, you can easily keep your hair styled all day long with this hair clay. This kaolin infused hair clay is absolutely shine-free and provides a natural vibrancy to your hair. 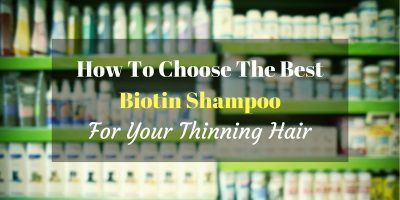 This is especially recommended for people with thin and fine hair and we can see why. The hair feels thicker and smoother after applying this formula. We love the natural look it gives to the hair. It is very easy to apply and glides smoothly in your hair. The process is super easy and effortless. It washes out easily which is another plus point for the product. This non-greasy, non-flaky formula is textured and soft to apply. The only problem we had with this product is the sweet smell it has; it might be a deal breaker for some people. This shine-free formula is one of the best hair clay for thin and fine hair. It provides a natural vibrancy and makes your hair look thicker than it actually is. Its lightweight micro-fibers, keeps your hair styled for long, without making it crusty and dry. Your hair looks healthy and hydrated and the medium hold is worth it. It might be a little heavy for people with thick hair. The only thing we did not like about this hair clay is its price. The product belongs to the expensive range and can be out of budget for some people. It has a kind of herbal smell that can or cannot be liked by the customers. It is very easy to apply and can be used on dry or wet hair. Although expensive, the amount of product needed is minuscule and the entire products last for months. ​The name says it all; this “cement” like hard formula is for extremely hard and complicated hairstyles. If you have long and thick hair and you want to try some extreme hairstyles, this clay is the best choice for you. This is very hard to set but once you do so, you are good to go for hours. The hard and sticky formula is worth it as you can rock any hairstyle easily, however complicated it might be. We recommend this hair clay for style enthusiasts and people with thicker and longer hair. If you want hair clay for daily use, this one will be too difficult and hassling for you. The vanilla scent is pleasant enough and fades after some time. This water-soluble formula is very easy to remove unlike its application process. This is one of the best hair clay for thick hair. This shine-free, matte solution provides a light and natural look. It does not leave any residue on your hands and is very easy to wash off. It contains many hydrating and healthy oils like soybean oil, carrot seed oil, and castor seed oil. It is harder to apply than some products but once you have styled your hair, it keeps for a decent time. The lack of flakiness and shine is another positive quality for this styling clay. The cream is totally fragrance-free which we liked. Although it claims to hold in extreme activities and sports, it loses the stronghold as soon as you start running or sweating. Moreover, if you live in an extremely humid place, this is not for you. This unisex clay is versatile and pliable and gives quite a decent hold on thick and unmanageable hair. It is easy to apply and provides a naturally styled effect. This lightweight formula works long hours and the amount needed is much less than most of the styling clays in the market. There is no shine or grease on your hair and the firm consistency leaves no residue. The smell is light and pleasant and we love the fact that it is not overpowering like most hair clays in the market. They recommend using it on wet hair for all-day long hold. If you have small or medium length hair, very small amount of this hair clay is needed. Even if you do not wet your hair before applying it, the hold stays for a couple hours. Lamel’s salon quality clay is quite reasonably priced and the amount of product they provide is considerably better than many hair clay formulas. Buying the right hair clay is not a child’s play. We have lots of expectations and preferences when it comes to any product. This makes choosing any one product from the ocean filled with different brands, considerable hard and complicated. Price - You need to determine your price limit before you start looking for good-quality hair clay. There are many products that are reasonably priced and give great quality, long-lasting hold. Reason for buying - You need to think of the reason you want to buy the hair clay. Do you want to try and replicate some complicated hairstyles? Or do you want it for daily use for an effortlessly styled hair? Different products cater to different needs. Your answer will help you get the best hair clay in the market. Durability and hold - You want your hair to stay properly styled as long as possible. Make sure to check how long the product lasts and what is its strength in holding the style. Scent - This might not seem like an important point but some people are very picky about the smell of the product they put in their hair. Some people like strong fragrance while some prefer subtle to no smell at all. You will find hundreds of options in the market for you to choose from. Reviews - Before choosing any particular product, it is crucial to check for its reviews. Reading about customer’s experiences and problems faced will protect you from making the same mistakes. Ingredients - Most people prefer to ignore beauty products with too many chemicals and opt for herbal and natural solutions. Check the ingredients list before buying the right hair clay for your hairs. There are many paraben-free and natural products available for you to choose from. Although all the five products mentioned above are exceptional, we find ourselves more inclined towards Mr. Natty’s Clay Hair Preparation. Its long-lasting hold, shine-free formula, and kaolin infused clay have made it a clear winner in our eyes. This reasonable-priced hair clay provides a perfect, carelessly styled look and we love the natural, grease-free, matte finish. The lack of flakiness makes it the perfect hair clay for daily wear. It is perfect for thin and fine hair and makes them look thicker and healthier. Although it does contain parabens, the product works mightily to keep your hair styled and vibrant for long hours. It offers pliability for short as well as long hairs. The hold stays long enough and you are given the added benefits of the “dry look”. Mr. Natty’s stylish clay easily earns the title of the best hair clay in the market today!